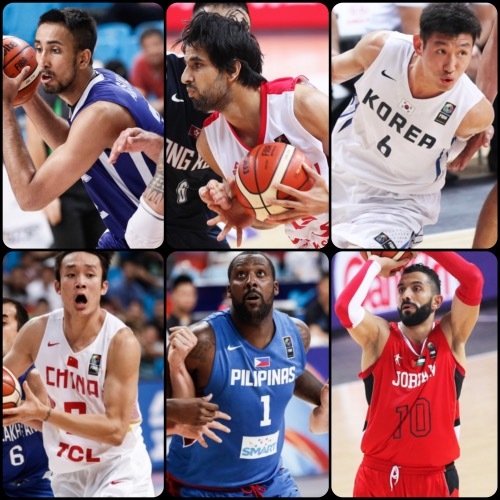 The second round of the 2015 FIBA Asia Championship started yesterday and action was, as expected, white hot! India came out big winners after handing Palestine its first loss, while Korea, the Philippines, and Jordan also came up with important victories. Here are the complete results from Day Four! Defending champions Iran recorded their fourth win in a row after blowing out lowly Hong Kong. 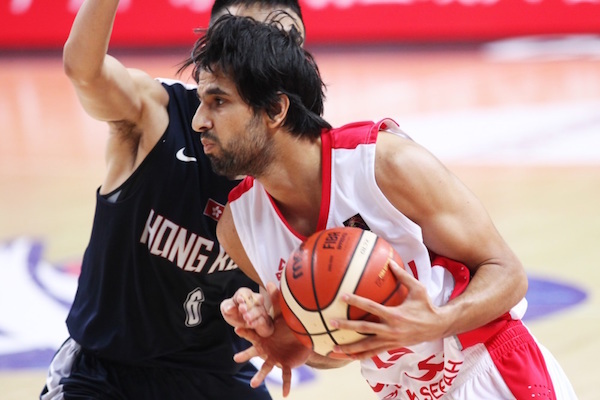 The game started off relatively tight, with Hong Kong able to stay within striking distance of Iran in the first quarter. Team Melli, however, picked things up in the second period and never looked back. The wingman duo of Samad Nikkhah Bahrami and Mohammad Jamshidi led the way for the dominant Iranians, who are expected to sweep Group E and march on unfettered into the Quarter-Finals. In all, five Iran players scored 10 or more points. Hong Kong entered this game tremendous underdogs, and despite a promising start, weren’t really able to mount a serious challenge. 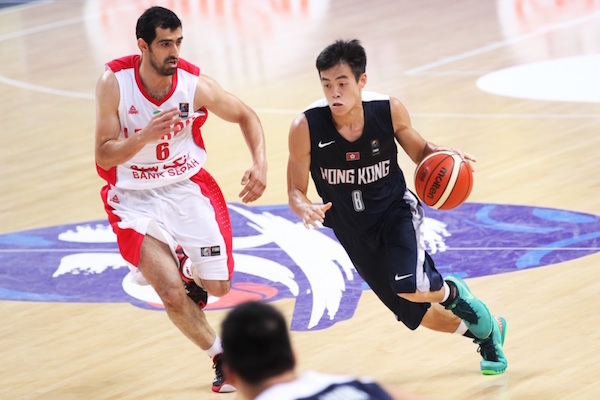 Lee Ki, Chan Siu Wing, and Duncan Reid paced them by scoring 46 points of the team’s total. Chan Siu Wing tries to get past Javad Davari. Mohammad Jamshidi has been a spark off the bench for Iran. Palestine ran out of gas in the fourth quarter as India pulled out a win in Group E. It was a back-and-forth affair for much of the game, with both teams exchanging runs. Even until the final buzzer, Palestine had a chance as Jamal Abu-Shamala stole the ball off an inbound pass and very nearly hit a potential game-tying three-point shot. 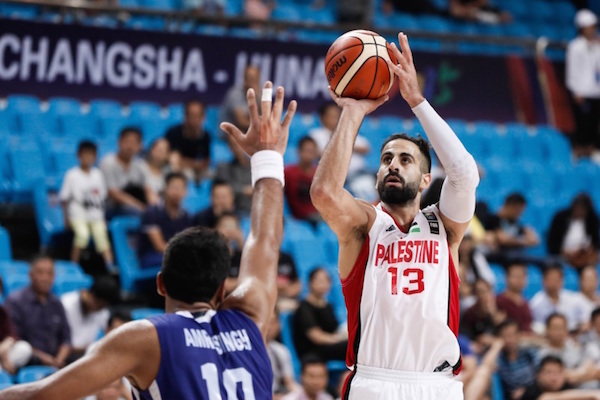 It was a battle of big threes with Palestine’s Abu-Shamala, Sani Sakakini, and Imad Qahwash finding their match in India’s Amjyot Singh, Amrit Pal Singh, and Vishesh Bhriguvanshi. Amjyot had the biggest game of them all, though, and was able to lead India to only their second win in four starts. He got able support from Bhriguvanshi’s 17 points, while Amrit Pal added 14 points and 9 rebounds. Palestine was led by Sani Sakakini’s 23-point, 12-rebound effort, while Jamal Abu-Shamala and Salim Sakakini had 21 and 16 points respectively. Qahwash finished with only 5 points, but he handed out 9 assists. Amjyot Singh had a game to remember for India. Sani Sakakini and the Palestinians looked exhausted in the endgame. 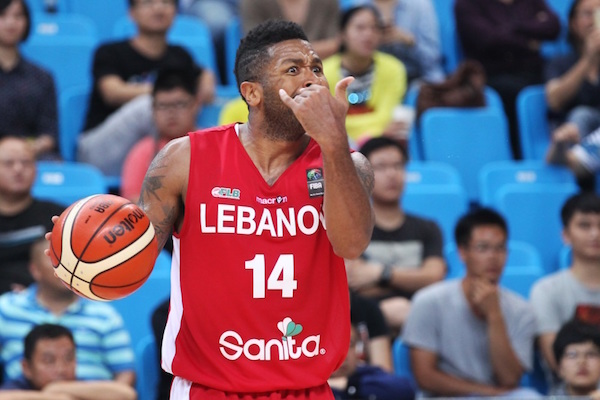 Lebanon led by as many as 11 points, but Korea rallied in the second half to prevail in Group F action. Lebanon had a strong start in this one, leading after one quarter, 23-13, and seemingly well in control at halftime, 43-32, but they ran into a different Korean team in the latter two periods. 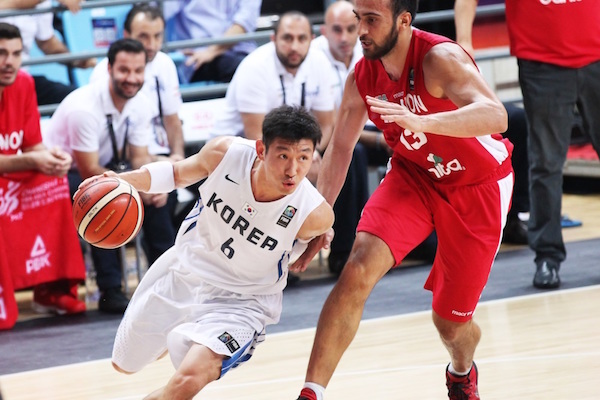 Korea outscored Lebanon, 49-25, in the second half to turn the tables on the Cedars and notch their third win in four matches. Seasoned playmaker Yang Dong-Geun was the spearhead of Korea’s fightback in the third quarter, getting steals, easy lay-ups, and setting his teammates up in their sweet spots. Big man Lee Jong-Hyun also had a good outing with 17 points, 6 rebounds, and 3 blocks, while three-point specialist Cho Sung-Min tickled the twine for three triples and 15 points. Naturalized wingman Jay Youngblood scored 21 points on 8-of-14 field goal shooting to pace Lebanon, and he was backstopped by Amir Saoud, who came off the bench to hit 3 treys en route to scoring 14 points. JayYoungblood and the Lebanese couldn't sustain the pressure against Korea. Yang Dong-Geun led Korea's second half rally. The Philippines groped for form early on before finding their bearings and surviving Japan. Coach Kenji Hasegawa’s wards were the more energetic team from the get-go, erecting a 10-point lead with 5:37 left in the first half, 29-19, before the Philippines, behind inspired play from veterans Jayson Castro and Asi Taulava, clawed back and snatched the lead at the halftime mark, 35-33. Castro continued to be one of coach Tab Baldwin’s most reliable players in the game, finishing with a dozen points and 4 assists but missing all of his three-point attempts. Calvin Abueva, Terrence Romeo, and Ranidel de Ocampo all had impressive outings as well, each one scoring in double-figures. 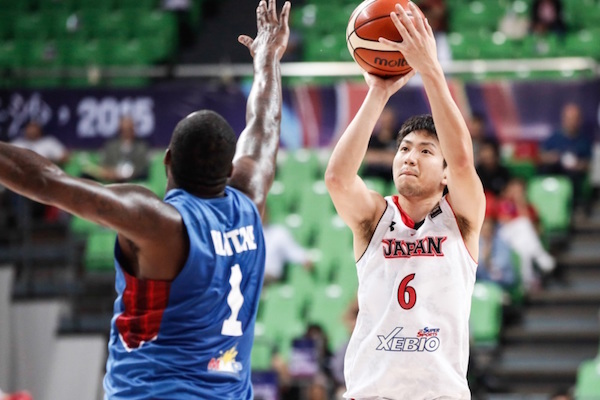 As expected Japan leaned heavily on Joji Takeuchi, who recorded another double-double with 13 points and 11 rebounds, while wily guard Makoto Hiejima ended up with 17 points on a variety of jumpers and drives. 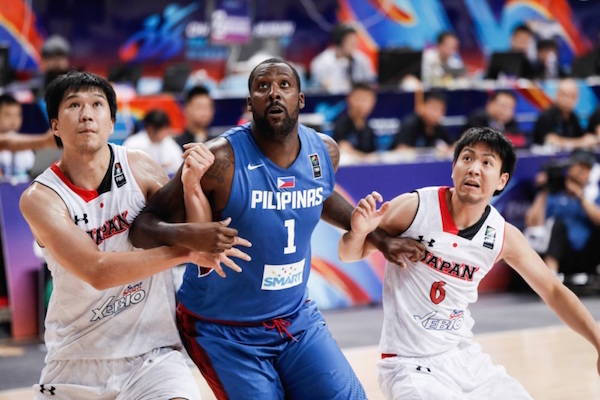 Andray Blatche played through pain to carry the Philippines. Makoto Hiejima waxed hot from the floor for Japan. 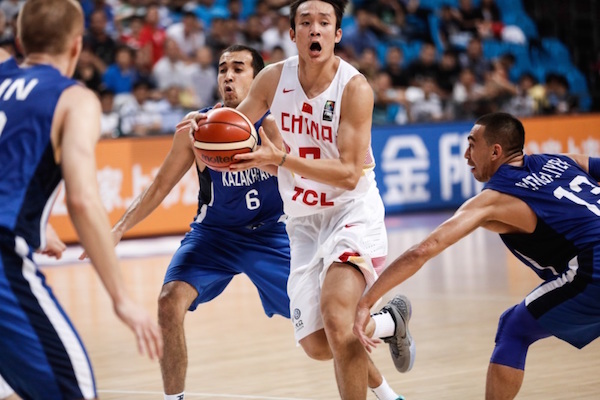 China didn’t really break a sweat as they recorded a convincing win over Kazakhstan in Group F. Coach Gong Luming’s wards had a strong start in this one, and they managed to sustain the pressure all throughout the game. Not surprisingly, China’s Walking Great Wall got the job done again. Yi Jianlian and Zhou Qi combined to tally 22 points, 13 rebounds, and 5 blocked shots. Wingmen Li Gen and Ding Yanyuhang also stepped up, scoring 12 and 10 points respectively as the hosts notched their fourth victory in as many games. Jerry Johnson tried to carry the fight for the Kazakhs, but he struggled from the field, shooting just 4-of-10 to finish with 11 points. 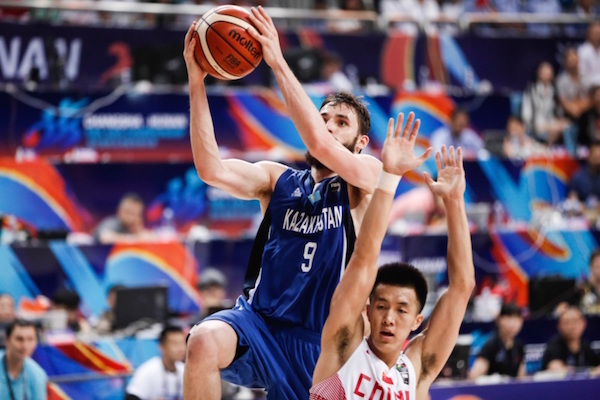 Anatoliy Kolesnikov was the only other Kazakhstan player in double-figures with 14 points, 5 rebounds, and 3 steals. Anatoliy Kolesnikov goes up strong for Kazakhstan. Ding Yanyuhang had a breakout game for China. Malaysia stuck close with Kuwait for about three quarters before the Gulf squad opened things up in the final frame to get their maiden win of the tourney. 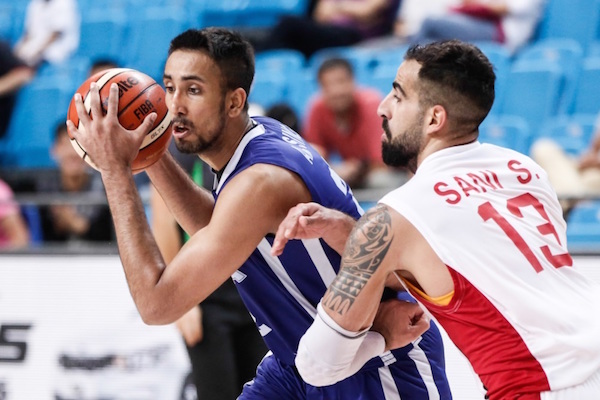 Hamad Hasan led the way for Kuwait with 26 points, 9 rebounds, 4 assists, and 3 steals, while Mashari Abu-Dhom added 14 points on 3 triples. Yoong Jing Kwaan impressed for the losing side with 19 points and 14 boards. Jordan took their lumps early on at the FIBA Asia Championship, but the tough schedule appears to have made them battle hardened. That was the conclusion to be drawn on Sunday when they defeated Qatar. Going up against the Group D winners, coach Rajko Toroman's side edged ahead in the third quarter and played with tremendous resolve over the last 15 minutes to claim a vital win. 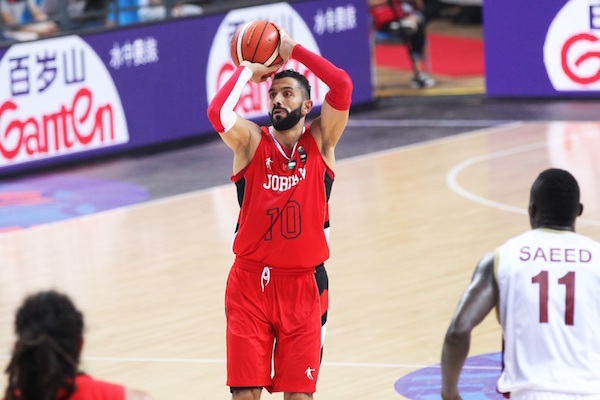 Alex Legion had 22 points and eight rebounds for the Jordanians, who also got very important contributions from veterans Osama Daghlas, Zaid Abbas and Mousa Al-Awadi. 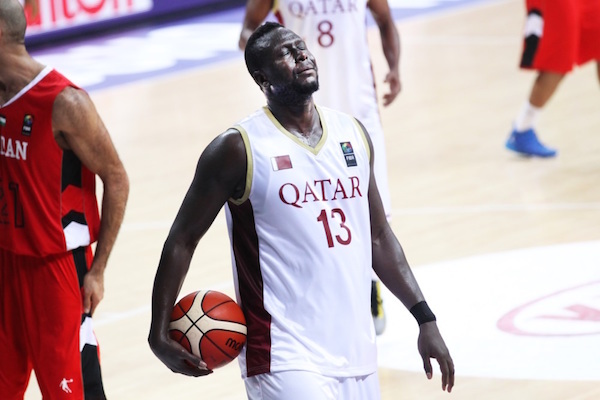 Qatar, meanwhile, was paced by the 20 points and 11 rebounds of Erfan Ali Saeed. Mohammed Yousef reacts after giving up a foul. Sam Daghlas dropepd 18 points to help Jordan beat Qatar. Taiwan hardly had any trouble in trouncing Singapore in their consolation round match. Tien Lei unloaded 21 points on 5 triples to lead the Taiwanese, who can finish only as high as 13th place. Tsai Wen-Cheng also did well with 18 points, while Quincy Davis tallied 12 points and 12 rebounds. Hanbin Ng dropped 17 markers to pace Singapore.